How to Quickly and Easily, Learn to Publish Your ‘Hot Selling’ eBooks to Amazon Kindle...And Reach the Massive Kindle Market...Starting Today! In this video, you will learn what tools you need to get started. Youll also learn how it all works, so you know what to expect before we even get started. Once you learn this, you can implement this business model faster. Youll also be given a quick overview of what youll be learning, in the rest of this video series. In this video I will be covering how to create your eBook, because your success will come from the content of your eBook and whether or not there is a buying market out their or not. It’s easy for you to just start writing on any topic and try to sell it, but if you take that route, then you may not make any sales. In this section, you will learn brainstorming ideas, and how to do proper research to ensure that your eBook does reach a buying market... yet most importantly, adds value to the market. Once you have done the proper research, you can now write your eBook. 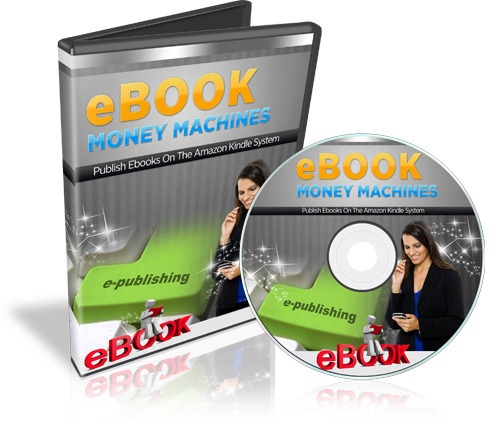 In this section you will learn some tips and tracks to help you sell your eBook better on Amazon Kindle’s market place. Skip this part and you will fail this whole video series. It is super vital that you pay close attention to writing an eBook that sells. Don’t assume you can just write an eBook; slap it together and publish it on Amazon. Without the proper research in any eBook or business model, you are setting yourself up for failure. So that’s what we’ll discuss in this section. What kind of file should you save it in? Do you need to know HTML? All those questions will be answered in this specific video. When it comes to formatting; it really isn’t that hard. In fact Amazon gives you guidelines in this section, but also makes it easy for you to publish your eBook fast. Before you publish your eBook, you need to understand pricing; because even if you make sales, if you don’t understand Amazon’s system, you can decrease the amount of money you get. So in this section you will learn some basic tips on Amazon’s pricing model. Then you will get to see step by step, how we publish a book using Amazon’s DTP platform. Amazon takes around 48 hours to approve and publish English written books and about 2-3 days for non-English. If you ask me, that’s very fast, compared to other publishing platforms out there. Now that your eBook is published, while you can make sales just being on Amazon’s marketplace, you still need to be proactive and get the word out, as much as you can about your new eBook. But how? Glad you asked. That’s what youll learn in this section...different ways to promote your eBook and market it. EMM Kindle (with Resell Rights) kindle;emm kindle 242333465 20.97 resellrightsvideos Fresh Download Available!